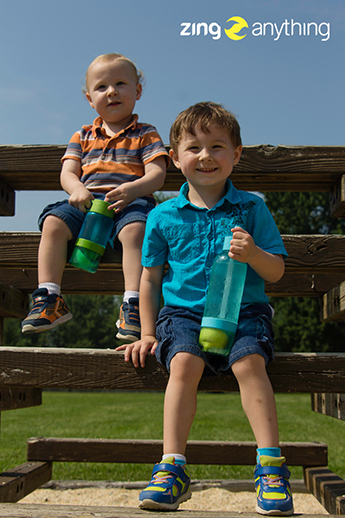 When the weather is nice, all we want to do is be outside.But it can be hard to keep ourselves hydrated, not to mention our kids, when we are out basking in the hot sun.So here are a few summer tips to help you make sure that your kids are staying healthy and hydrated. They can’t drink it if you don’t have it.Simple as that. Just have a water bottle on hand and it will remind you to make them drink! There is a lot of water in juicy fruits like watermelon, oranges, and grapes.Serve these fruits ice cold and your kids will rehydrate just by eating a tasty, refreshing snack. Plain water can be a hard sell to kids.Try creating fruit infusions, like clementine, lemon, or strawberry, to give boring water a little zing of flavor. It can be hard to get kids to drink water simply because there are so many other more colorful and sugar-filled options.Replace pop and processed juice with water. Sugary drinks not are not only bad for our health and teeth, but they actually leave us more thirsty! If you’re having trouble remembering the last time your kids had a drink, use a timer.Set it for every hour or every couple of hours and when it goes off, have them drink a glass. 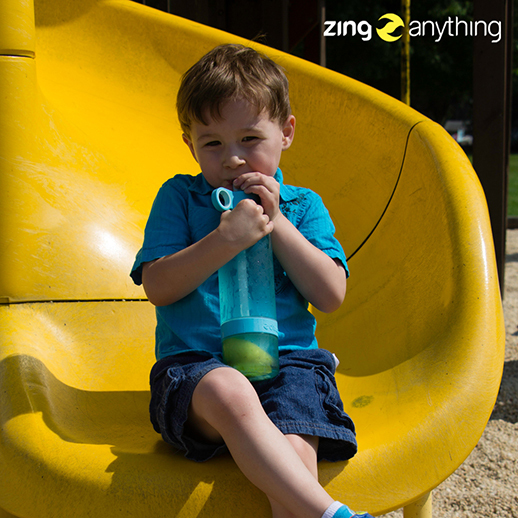 Whether it’s a futuristic looking water bottle, a novelty cup with a curly straw, or just something with their favorite cartoon character, it’s making water just a little more fun. Throw in your favorite fruits and a little ice and you’ll have a cool, delicious smoothie that any kid would go crazy for.If you really want to bump up the health value, try slipping in a few vegetables like cucumber or carrots for more nutrients and better hydration. Serve different drinks at meal times to keep things interesting – get creative with flavored waters, try unusual kinds of flavors like mango or guava, or add natural food colorings to regular water for a colorful addition to the table. No one said drinking water has to be boring. Turn it into a game that you can play with your kids - create a chart to keep track of the number of cups every day or give small prizes like stickers when they've finished their drink! 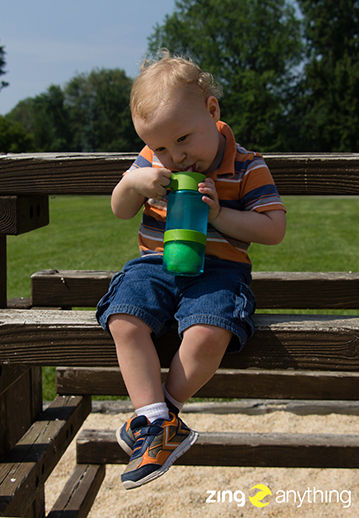 If you feel like it’s been a while since their last drink, have them take a seat and hydrate! 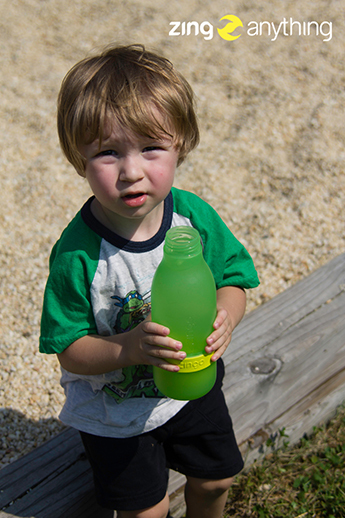 When we are out having fun, we sometimes don’t realize that we are dehydrated - we don’t even feel thirsty. So it’s important to get kids to drink water regularly even if that means stopping the summer fun for just a few minutes. 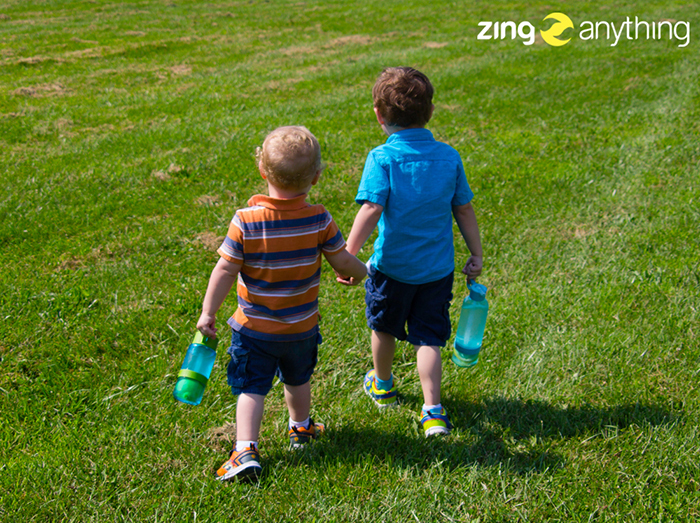 Check out Zing Anything's line of products for the whole family including the Kid Zinger, Citrus Zinger Sport, and Zingo!